The March 2013 quarter produced astounding results – Brisbane’s inner city recorded 625 unconditional off-the-plan sales totalling a gross sale amount of $324 million, the highest since the September 2004 quarter. We did expect to see an increase in the level of sales from the December 2012 baseline; however these results overwhelmed even our expectations. The combination of six new off-the-plan project releases, affordable prices, increased investment demand, a weaker December quarter and most importantly Brisbane’s changing real estate cycle contributed to the sales surge. While the March quarter recorded twice the amount of sales as the December quarter and 40% more than the same period 12 months ago, the weighted average price softened slightly to $518 000. The figure of $518 000 is only 1% below the December period previously and 2% above the same quarter last year which further establishes the market trend and ongoing demand for affordable inner city investment product. Exemplifying the consistency and stability in the market is the 12 month rolling average price of $537 219 has been relatively unchanged now for three consecutive quarters. Interestingly, the March Quarter signalled a changing supply and demand in the current Inner Brisbane market. Historically we have seen consumers in Brisbane display an inherent preference for two bedroom apartments opposed to one bedroom apartments. Sentiment and price has definitely driven demand and sales for one bedroom stock in recent years. This quarter however, there were an almost even proportion of one bedroom and two bedroom apartment sales of 49% and 48% respectively, signalling a return to the two bedroom investment preference. Buyers remain price conscious and of the 625 unconditional sales, the $350 000-$450 000 price point was most popular, totalling 37% of the transactions for the quarter. The six new projects launched to the market in the March Quarter had a lot to do with the sales surge. Aria Property Group, was the clear performer recording 140 unconditional sales to sell out its stock. 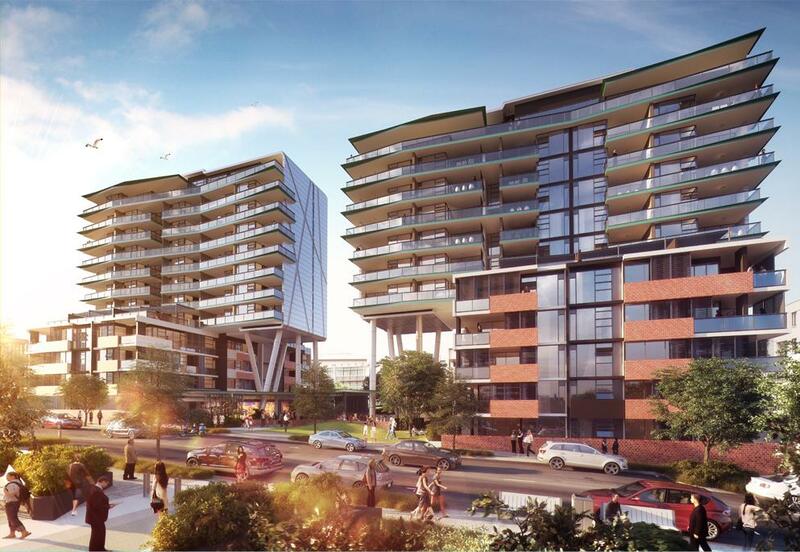 Galileo's Arena (pictured above), also located in South Brisbane sold very well and recorded 93 unconditional sales with only one apartment remaining for sale in the first release. Without discounting the results above, I would like people to analyse them with caution. The substantial increase in sales could be a quarterly aberration, due to a significant number of new and very successful project release. Place Advisory do not foresee this lever of transactions to be a consistent result moving forward, but rather an indicator that there is significant market depth and demand for residential apartment in Brisbane. With little change seen in the CBD, the subsequent sales results remain constant and consistent. Overall, 30 unconditional sales were recorded in the Brisbane CBD at a weighted average sale price in line with the wider market place - $510,000. The North of the River apartment market, which spans 32 various projects, recorded the highest levels of unconditional new and off the plan apartment sales across the Inner Brisbane market (301 unconditional transactions), slightly outperforming the South of the River market by only 7 transactions. The South of the River residential apartment market recorded continued strengthening through the first three months of 2013. Long identified as one of Brisbane’s up and coming hotspots, the region now challenges the Inner North of the River precinct on a quarterly basis for the highest number of unconditional sales. As Director of Place Advisory, Lachlan’s role is to gather both internal and external market intelligence to gain a comprehensive understanding of residential projects and provide product specific advice to clients. This reduces associated risk and provides the information necessary for them to make an informed decision. He has worked closely with a number of developers, from site conception through to product delivery and provided advice to those including Lend Lease, Australand, Laing O’Rourke and Leighton Properties.